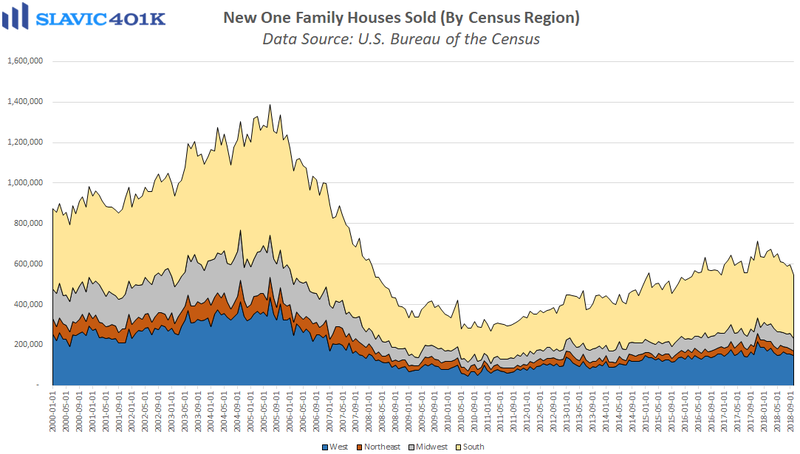 Sales of new single-family homes in America tumbled by 8.9 percent in October to a seasonally adjusted annual rate of 544K units, according to Census Bureau data. That was significantly worse than anticipated and the largest monthly decrease since December of last year, albeit from an upward-revised September figure. Regionally, sales fell across the country in October, with the largest declines seen in the Midwest (-22.1 percent) and the Northeast (-18.5 percent). 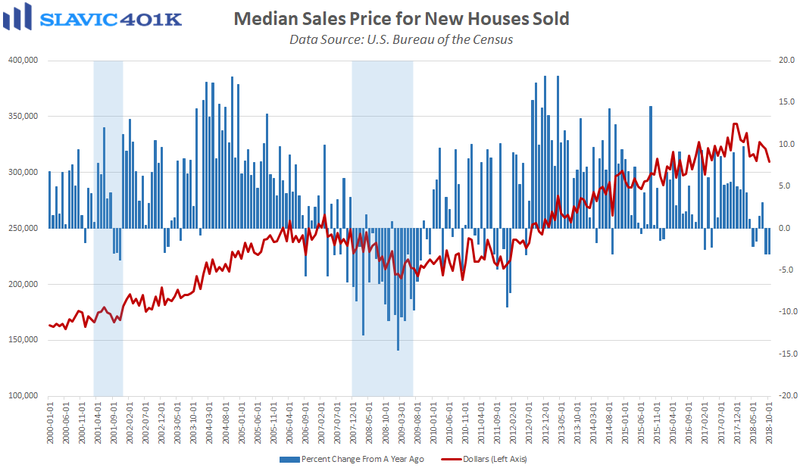 The monthly data can be quite noisy but new home sales on a year-over-year basis still fell by 12.0 percent in October, the largest annual decline recorded since July 2017. Further, sales are down roughly 5 percent over the past two years, the fastest deceleration since 2012. 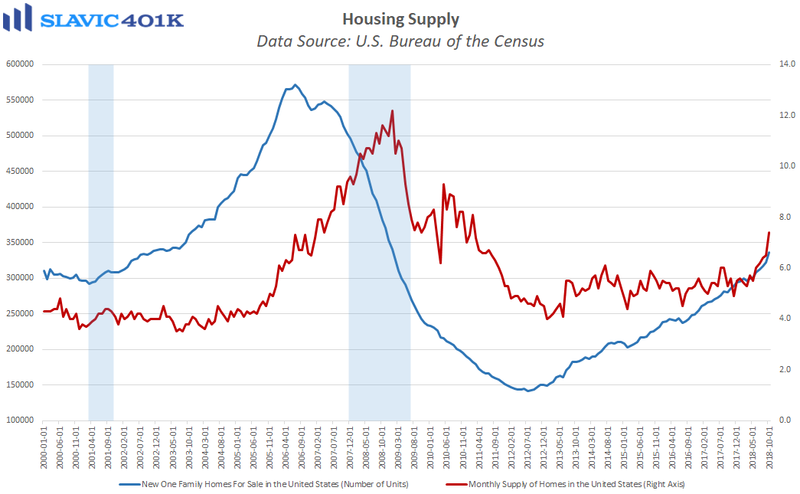 At the same time the supply of new homes has surged, and the median selling price plunged to just $309,700 in October, a 20-month low. 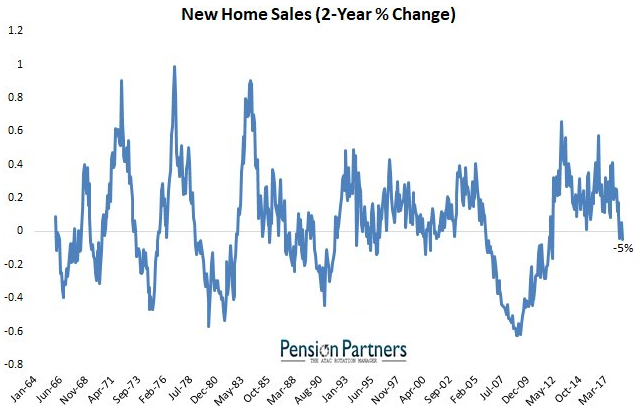 Although new home sales represent a much smaller portion of the U.S. housing market than existing home sales, the recent weakness should not be ignored because this leading economic indicator tends to head sharply lower ahead of a recession.